Click-Stand is the World's Only Folding Portable Bicycle Stand. Folds to between 7" and 10" in length. ~ Weighs near 75 grams. What are current City of Columbus bike projects? Department of Public Service has listing. The following streets include bicycle facilities. On Bicycles features the work 33 writers from across the spectrum who share a passion for cycling and a desire to share the gift of cycling with you. Which drop bar shape and size is best? That depends on your anatomy, conditioning, position on the bike, type of riding you do, how your bike is equipped and your bike’s geometry. One cyclist’s ergonomic heaven is another’s hell. I’ve assembled samples of a representative range of most of the traditional road bar geometries together with current production shapes. I’ve omitted anatomic bars as I’ve never found one that fits my anatomy, so apologies to fans of anatomic bars. You can navigate the images using the thumbnails, use the arrows left and right to jog through the menu and the bar specs will display in the lower left above the thumbnails if you roll over the main image. Track / Pista: These bars closely mimic the shape of track bars providing more clearance for the arms when sprinting out of the saddle then any other road bar shape. The Cinelli model 65 Criterium bar (144mm drop) and 3ttt’s Gimondi bend (drop in the 155mm range) are the classic examples. This style bar all but disappeared with the advent of aero brifters but is making a big time comeback with fixed and single speed bikes. Shallow / Italian Classic: The 138mm drop of the classic ‘shallow’ drop bar is actualy quite large compared to today’s compact bars. Classic examples include the Cinelli model 64 Giro D’Italia (138mm drop) and 3TTT TdF bend (138mm drop). Modern Italian classic bars include the Deda Newton / 215 shallow (135 mm drop) and and the 3T Rotundo (139 mm drop). Deep / Belgian / Pave: The traditional deep drop bars like the 3ttt Merckx bend and the Cinelli Model 66 Campione Del Mondo had drops of around 158mm. The current Deda “deep” has a drop of 145mm. Compact: Aero shift/brake levers changed the cyclist’s cockpit moving the main position for braking and shifting to the hoods from the hooks / downtube. It also moved the postion forward out past the hooks as the brifter grew into a full handlebar extension. This required riders to lower their bars relative to their saddle to maintain the same riding position. Manufacturers responded with an ultra shallow bar with a short reach that raises the drops and moves the in the hoods position back. Clearance for the arms with a 125mm drop is maintained by having a shallow bend out of the hook and extending the drop farther back then with traditional bars. The shape of the bend is somewhere between anatomic and traditional with some bars having a flatter more anatomic looking bend and others slightly rounder bend. The trade off with compact bars is less variation of position between hand positions. An advantage to some a deal killer for others. 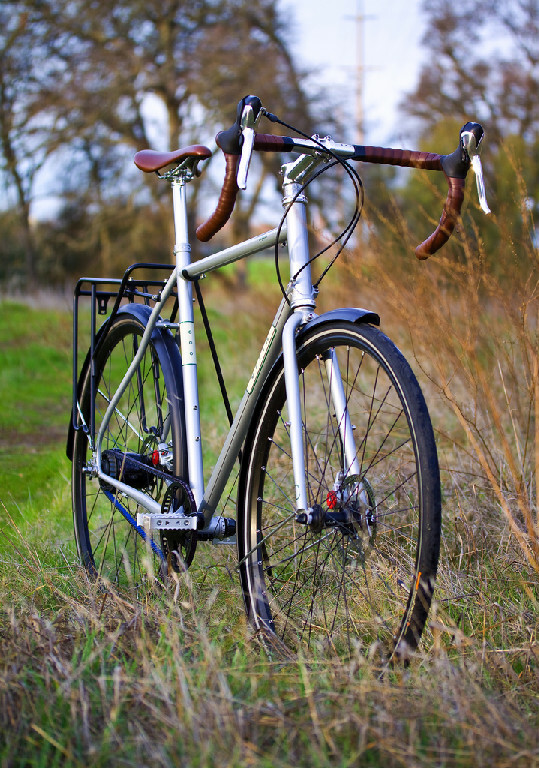 Randonneur: The tops are upswept raising the hooks and drops and the hooks are angled outwards making for a very comfortable long distance bar. You can see in the illustration below how for the same stem height the Randonneur shape gives a more upright riding position. Grand Bois and Nitto currently make Randonneur style bars. French Maes: The classic Philippe Professionel had a long reach, shallow drop with parallel ramps and drop. This shape is available today with the Grand Bois Maes bar. These classifications are not well defined. The pista style bar is defined not by the amount of drop but by the shape with the distinctive curve starting almost immediately from the ferrule (see the tops illustrations below). The shallow and deep drop bars are distinguished by the amount of drop with a wide variety of shapes among the different models within each category. 3ttt offered all of it’s road models in a Gimondi (Pista) bend, Merckx (deep) bend, Tour de France (shallow) and in later models anatomic as well. So you could get a Super Competizione or Prima 220 marked with a GIM (Gimondi bend) or MEX (Merckx bend). In one 3ttt catalog I have seen they refer to the Merckx and Td’F as if it were the same but in the sample bars I have the Td’F drop is shallow and the Merckx drop is deep but the shape and angle of the ramps is the same. Unfortunately the new 3T has not maintained the practice of different drops/shapes for each model but Deda offers the 215 / Newton in traditional shallow and deep bends as well as anatomic and have a compact model (Presa / Zero 100) as well. Zipp and Ritchey now offer their bars with a choice of traditional round (shallow/Italian), compact and anatomic bends. In the above illustration you can see how the shift/brake lever as handlebar extension and main control center has impacted the size and shape of road bars. Campagnolo’s new 11 speed brifter has 2 hand positions on the hoods and claims braking from the hoods as effective as from the hooks. If you stretch your arms straight out in front of you, your wrists will naturally be at an angle not far off that of the Nitto Randonneur. This makes for a very comfortable braking position in the hooks. But if you are braking and shifting from the hoods with a brifter you might find the angle awkward as it turns your wrists out. In that case you might prefer a straight or only slighly angled hook like the Deda 215. The equipment you use can change your preference in bar geometry. I’ll be replacing the above animated gif with a navigable Flash animation once I have a few more samples ready to include. More to say about the tops then. Grant Petersen of Rivendell likes high trail bikes, a more upright riding position and wide bars. Grant designed the Nitto 177 Noodle bar. Here is Rivendell’s take on handlebars. Jan Heine of Bicycle Quarterly prefers low trail bikes and narrower width bars. He rides in Paris-Brest-Paris and other long distance endurance events and uses a GB Randonneur bar. You will find an excellent article on handlebars that goes into the relationship between bar width and bike geometry as well as a bit of history and reviews of the GB Randonneur and Maes bar by Jan in the Winter 2008 issue of Bicycle Quarterly. The Competitive Cyclist sells racing frames and gear to competitive cyclists. Andy at Competitive Cyclist makes the case for compact bars in this video review of the FSA compact bars. If your equipment preferences and the type of cycling you do aligns with any of the above three you will likely find your handlebar preferences will be similar to theirs as well. So you can use that as a guide for where to go for expert advice. Sheldon Brown on handlebar clamp sizes and tubing specs. And what bar do I use? For years I used a 3ttt Ergo Due with Merckx bend. It’s got double grooves for my Campagnolo Ergopower shifters and it’s dimensions work well for my long arms and long fingers. Now that I have switched to Campagnolo’s newest shifter I’ve lowered my bars and am about to give the 3T Ergosum a try. The deep drops are now to low with my lowered hoods. If I was still using brake levers and bar end or DT shifters I think I would go with the GB Randonneur. 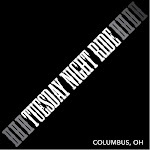 On September 2, 2012 the Ohio Gran Fondo will make its debut in Central Ohio. If you don't know what a Gran Fondo is, you are in for a big surprise. Gran Fondos are fast becoming one of the hottest events for cyclists throughout the US. The reason is simple, a great atmosphere, challenging course and unparalleled support. So what does that mean? Well, essentially it is a bike ride that gives participants the same atmosphere and challenge as a marathon only for cycling. To do this, Gran Fondos draw on the best of all worlds to give riders of every skill level an experience unlike any other. From the racing world they bring the spectacle and challenge by featuring a mass start, timing and scoring, limited road closures/turn marshals, and an epic start/finish line complete with barricades, banners, music and an announcer to give you the look and feel that you would expect from a professional race. Like the best tours they have lots of stops, great on-road support, fabulous food, entertainment, and a chance to socialize with all your friends. Throw in some great free stuff, medals for every finisher, and you start to get the picture. These are some of the reasons why Gran Fondos are one of the hottest cycling tickets in the US today. To learn even more about Gran Fondos, here is a link to an article that recently appeared in Bicycling Magazine (http://www.bicycling.com/news/featured-stories/lets-get-ready-fondo). So, now that you know what the Ohio Gran Fondo is all about, I am looking for your help to get the word out to cyclists throughout Ohio. Please mark your calendars for September 2, 2012 and share this with your group and anyone else you may know that would enjoy participating. Also, I would encourage riders to sign up early as prices will go up as time goes on. Two routes will be available a Fondo (100K long) and a Gran Fondo (200K long). Registration will open later this year and there will be significant savings if you register early. As time goes on, prices will go up. The ride will start at 6:30 AM with all ride support ending at 6:30 PM. Beginning at noon a post ride meal and free entertainment will be available at the finish line. Any club or team participating will have the option to reserve a 10X10 spot along the finish line where they can watch friends/teammates finish. Riders will be encouraged to stick around and cheer on others as they complete the course. In addition an area for sponsors, vendors, and organizations will be set up near the finish line for people to enjoy. More announcements about finish line activities will be forthcoming. To get the latest information on the event and to keep up with announcements on what we are up to, check out our web page www.ohiogranfondo.com or follow us on Facebook at Facebook.com/Ohiogranfondo or on Twitter at: ohiogranfondo and please feel free to spread the word to anyone you may think would have an interest. Thanks for any help you can provide spreading the word about this great new event in Ohio, and I look forward to seeing you at the inaugural Ohio Gran Fondo. “Tête de la Course,” the newest exhibition at Center Galleries and part of the College for Creative Studies, celebrates the world of the bicycle with photographs by Donald Dietz and custom-built bicycles by Detroit Artists Darrin Brouhard, Stephen Lambers Jr., Wayne Neeley and The EastSide Riders, Larry Parker, Neil Shaddox and Ted Sliwinski. "Frankentrike" made by Ted Sliwinski. "I consider myself a fabricator, and I take more pride in the fabrication. The "Frankentrike" was a challenge. In true Detroit style it is made of junk, old bike frames and part of the elevator at OmniCorpDetroit. However, it works and it works well." Today’s subject is near and dear to my heart: Bicycles. A part of almost everyones’ childhood, I hope you, wonderful reader, can remember the pure joy of being able to feel your body propel yourself out into the world. As a teenager, I was forced to take an extended hiatus from bike riding when a garage fire destroyed the light purple bike of my dreams. As a result, I used the insurance money to purchase my first brand new SLR camera, a decision that carried me all the way into this position of blogging for the Knight Foundation (so I would say it was a good one). However, once in college, the need for an easy, fast, fun, and cheap way to get around the city arose, so I headed out onto the streets with two wheels and a dream once again. Since then, I have used a bike to discover Detroit. I have pedaled hundreds of miles that have made me see the world in a completely different way. Bike OSU is cookin' this quarter, with the continued success of our How We Roll campaign and some great exposure for our cause -- vanquishing sidewalk riding around campus! We're still seeking volunteers for lights giveaways and people to ride our tours. And we've got our next meeting coming up on Nov 1. But we're also going to have some pure fun this week on a costumed Halloween ride. Come join us! P.S. -- Don't forget to check out the winter quarter internship opportunities from Yay Bikes! Light sets worth $35 are FREE for students! Bicycle tours leave from this location at 5:30 & 7:00pm. Our Halloween Ride leaves from this location at 9:00pm. Bicycle tours leave from the Union at 2:00 & 5:30pm. Volunteers are needed to install bicycle lights at these times and others during the quarter. Contact Denis if you can help! Denis & How We Roll on 10TV!! discussing How We Roll on 10TV! Taylor Tower residents on their How We Roll tour! FREE How We Roll bike tours leave daily from the Ohio Union's West Plaza during fall quarter, or your group of 7+ can request a special tour. Each 3-hour, 12ish mile ride leads a group of 6 through campus to several local businesses and other destinations in the Short North and Downtown for fun & freebies. Between stops, the guides will cover proper bike fit, group riding skills, basic maintenance, maneuverability and road riding strategies. 50% off a Bern helmet! 30% off at Paradise Garage (except bicycles)! The chance to win a free bicycle! And if you've already taken a tour, be sure to post pics & recommendations on our Facebook page! Internship Project #1: Research campus-based bicycle co-ops throughout the country. One of Bike OSU's foremost goals is to have a bicycle co-op on campus. To make the case for devoting valuable university space to this project, an intern is needed to collect research about how other campuses make it work and write a report of the findings. Internship Project #2: Help create a 6-week study guide on the faith-based approach to transportation. Yay Bikes! is working with Summit United Methodist Church to develop a faith-based study of transportation issues, for use by people of all faiths. An intern is need to help plan, write and pilot this guide within a small discussion group. Contact Meredith if you'd like to work these positions, or if you have other ideas for useful bicycle-related projects! Yay Bikes! will also be at the OSU Nonprofit Opportunities Fair on Feb 7. 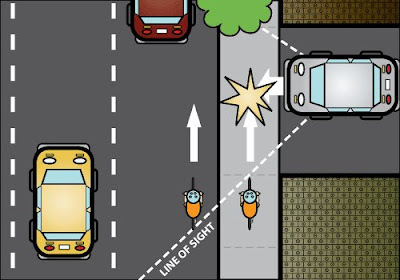 Cyclists on a sidewalk are not within motorists' line of sight! Motorists are looking for pedestrians in the crosswalk and don't expect cyclists to be in their path, particularly those riding against traffic. They cannot see or react in time to fast-moving cyclists who appear suddenly in crosswalks. Cyclists on sidewalks often don't realize that driveways are also intersections from which cars can suddenly emerge. Buildings can obscure intersections and make it impossible for cyclists to see cars approaching. Riding in the correct place on the road forces motorists to wait their turn or pass at a safe distance. Cyclists should always ride on the road, 3-4' from the curb, and take the full lane as necessary to ensure our safety. If you don't feel comfortable doing this, please take our tour to gain confidence riding on the roads! Join us on the main steps of Knowlton Hall for our regular monthly meeting! Topics will include a How We Roll update, with a description of campaign volunteer opportunities and a chance to sign up for them. We'll also discuss our 2nd Annual Winter Bicycle Show.